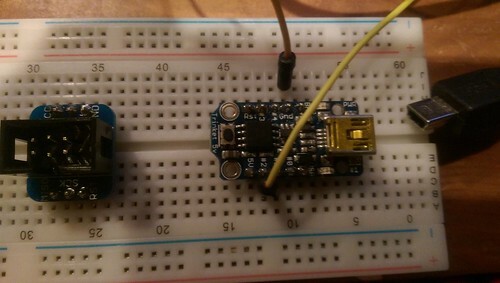 Some AVR devices, like attiny85 (on Adafruit Trinket, for example), do not have hardware UART. However, it would be still nice to have serial output from them. I wrote a simple Soft_Serial package, which can use any GPIO pin as TX UART pin.